Bibliography: Dussler p. 136 ff. ; Twyman p. 21 ff. 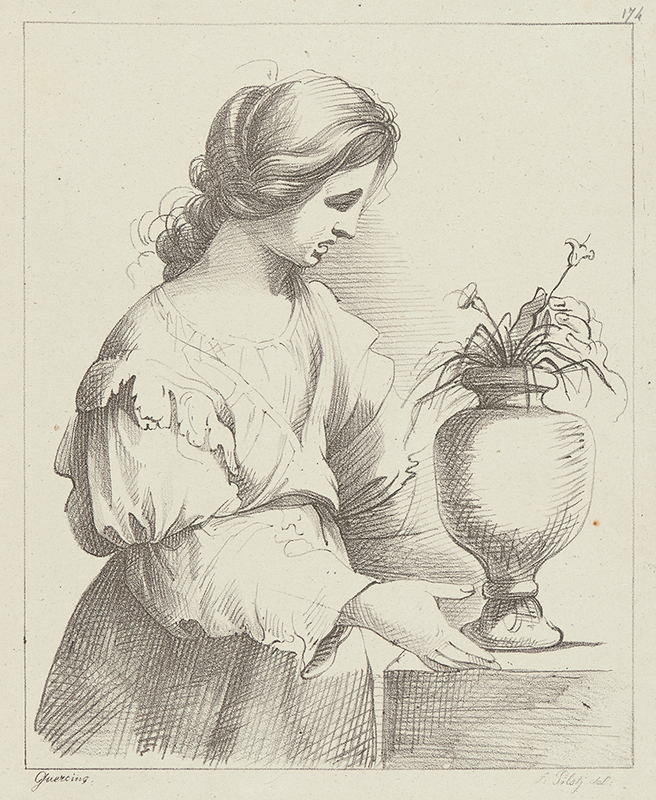 Girl with Vase, . From Les Oeuvres Lithographiques. Lithograph on laid paper. Image: 220 x 180 mm (8.7 x 7.1 in.). DAC accession number 1974.26.4. Gift of Joseph Gropper, 1974. Open Access Image from the Davison Art Center, Wesleyan University (photo: R. Lee). http://dac-collection.wesleyan.edu/obj13191 is a persistent link to this page with no user-session information.